"Madeon is a french electronic musician who talks about himself in the third person - what a snob." ~ Hugo Leclercq (Madeon) Hugo Leclercq (born May 30, 1994), known by his stage name Madeon, is a self-described "electro-pop-house-whatever" producer from Nantes, France. Leclercq started composing music at the age of 11, and adopted a nu-disco style under the name "Madeon" in 2010. In the fall of that year, at the age of just 16, he gained popularity for his award-winning remix of The Island by Pendulum which was praised by the likes of Skrillex and Pendulum front-man Rob Swire. Hugo Leclercq (born May 30, 1994), known by his stage name Madeon, is a self-described "electro-pop-house-whatever" producer from Nantes, France. Leclercq started composing music at the age of 11, and adopted a nu-disco style under the name "Madeon" in 2010. In the fall of that year, at the age of just 16, he gained popularity for his award-winning remix of The Island by Pendulum which was praised by the likes of Skrillex and Pendulum front-man Rob Swire. YouTube video of his live mashup "Pop Culture" went viral, which combines 39 pop hits into one song. As of November 2012, it has approximately fifteen million hits. Leclercq has been featured on 15 Minutes of Fame, a segment of Pete Tong's radio show on BBC Radio 1. Also on the 27th of January 2012 he played a 20 minute set as part of a show organised by Pete Tong to showcase up and coming stars in Electronic music. 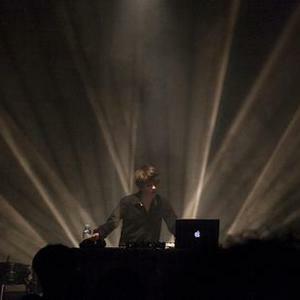 He included some of his own songs such as Pop Culture and Icarus, as well as merging songs together; These ranged from Shuriken alongside Que Veux Tu and DJ, to M83's Midnight City being played on top of a Madeon edit of Blitz by Digitalism. Leclercq has cited The Beatles and Daft Punk as his greatest musical influences. He is also known to use Novation's Launchpad for his live performances, and FL Studio as his music production program of choice. A debut EP was scheduled to be released in 2012, but then cancelled in favour of multiple singles, the first of which ? Icarus ? is planned to be released in February 2012.